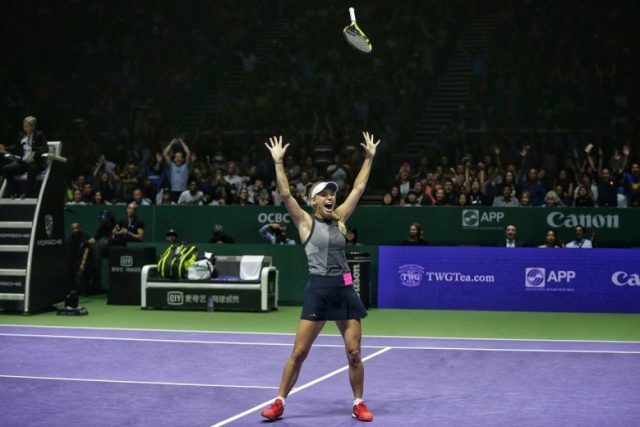 Caroline Wozniacki claimed the biggest title of her career and secured a first career victory over Venus Williams to win the Women’s Tennis Association (WTA) Finals in Singapore. The Dane, a former world number one, but who has never won a Grand Slam title, swept to a 6-4, 6-4 success at the Singapore Indoor Stadium. Her aggressive approach proved too much for her 37-year-old American opponent after the sixth seed edged a tight first set. Wozniacki then charged into a 5-0 lead in the second before surviving a late fightback. It marked the 27-year-old’s first victory over Williams in eight attempts stretching back to 2007. “It feels amazing, I can’t believe I am here as the winner,” Wozniacki told BT Sport. “Venus Williams is a great champion and she made it very, very difficult for me. Wozniacki has lost US Open finals in 2009 and 2014 and also reached the last-four stage of the Australian Open in 2011. She was also defeated by Belgium’s Kim Clijsters in the final of the WTA Tour Final in 2010. Romania’s Simona Halep, meanwhile, will end the season as world number one, despite failing to make it out of the group stage in Singapore.